The stench was over-powering. As I looked out onto the wooden benches before me, the bleached bones seemed to glisten under the Indonesian sun. I was in Jakarta, the capital of Indonesia, working on a story how the city is being threatened by climate change and flooding. This particular afternoon, however, I was distracted by the shocking scene before me. I was out with my guide, exploring the port area of the north of the city. As we walked around the small makeshift sheds where local fisherman were selling their fish to traders coming in from the main urban area, we decided to push deeper into the small fishing community. It was the smell that hit us first. 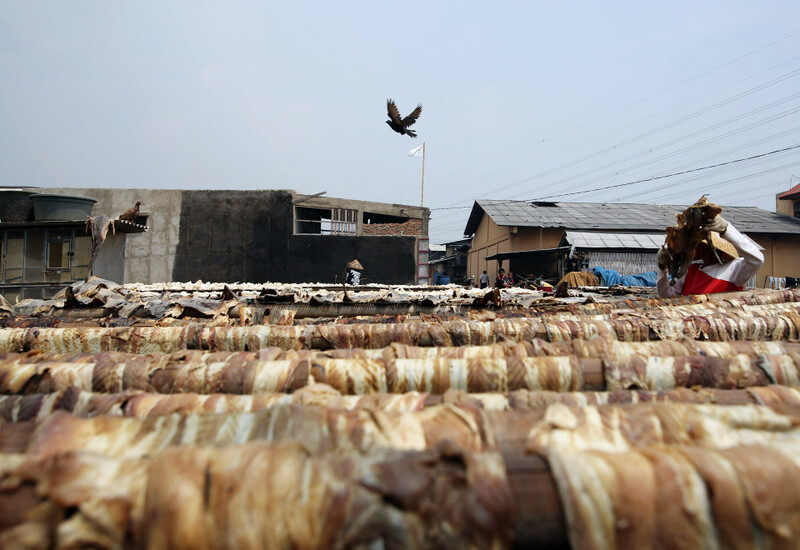 As we turned a corner, we were greeted by rows upon rows of drying meat, hung to dry under the scorching midday sun. Next to them lay rows of glistening white bones, also laid out in the sun to dry. As we crept closer, it was clear that we had walked into an area that was being used to dry recently caught fish. A few fishermen looked curiously at us as we looked around, but then approached us to talk. Through my guide I asked what type of fish the bones and meat had come from. “Shark!”, was the answer the fisherman seemed to proudly announce. I was slightly in shock. It was impossible to guess the volume laid out before us. The fisherman led us to other benches a little further away. As we approached, it was vividly clear what the next bench contained. Shark fins. 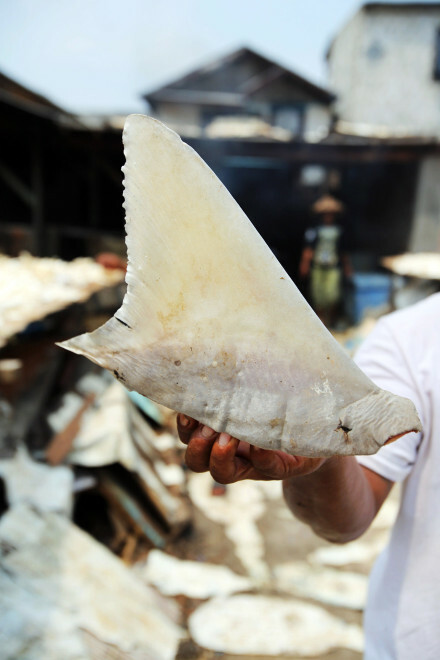 Shark finning has come up again in the news this week. It seems that recent cutbacks by the Chinese Communist Party in their purge against “extravagance and corruption”, has seen a decline in consumption of the traditional luxury. 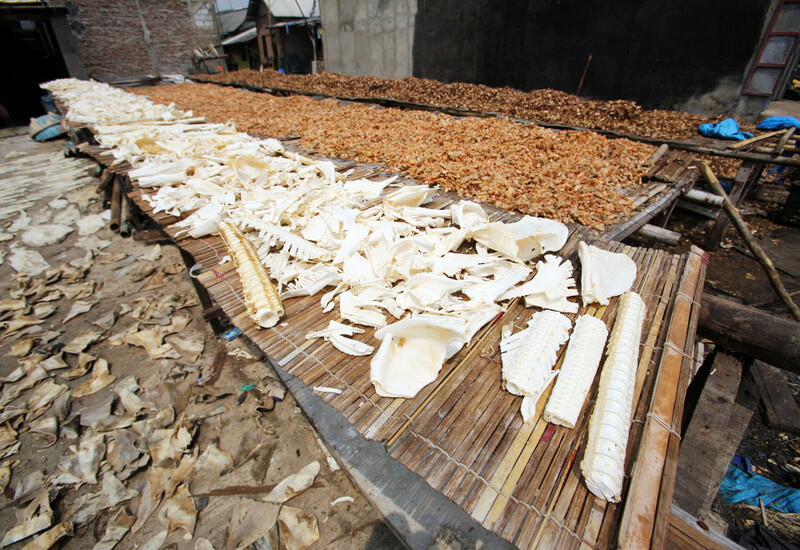 “In September 2012, Beijing diners were getting through 7.5 tonnes of shark fin a day, paying anything up to 1,800 yuan (€224) a bowl”, continues the article. It seems that the continued efforts by environmental activists is also having an effect in curbing the transport of shark fins around the world. Are attitudes changing in the place that matters, China? Well, let’s hope there might be some top-down effect from the recent reduction in use by party officials. At least, this might raise awareness more amongst the Chinese public. Conservation campaigns involving Chinese celebrities such as basketball star, Yao Ming, are also encouraging. 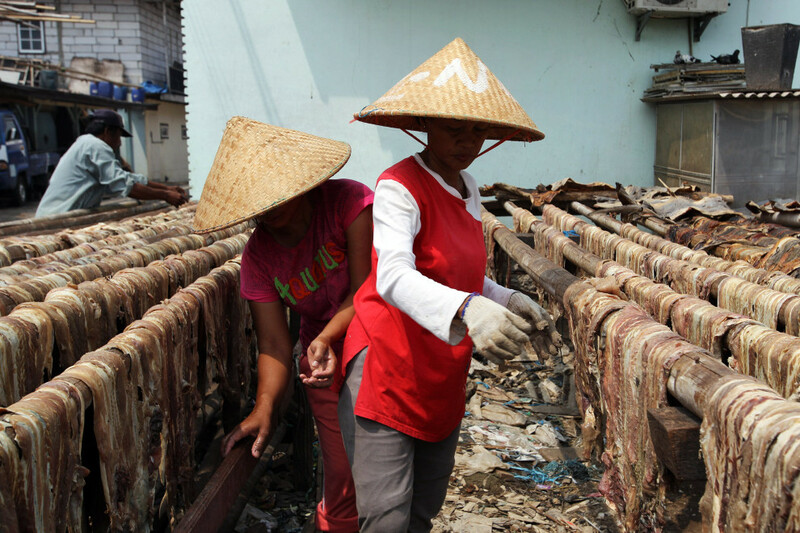 As I stood in the market in Jakarta, the reality of shark finning had well and truly sunk in for me. 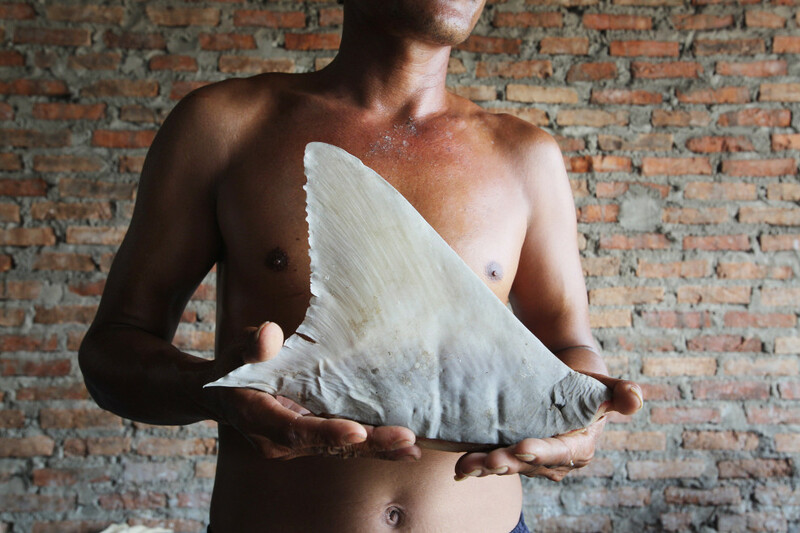 I quickly made some images of the fishermen with the shark fins and then moved on. We didn’t want to raise too many suspicions by lingering. We returned to our motorbike and left. The experience had a deep impression on me. 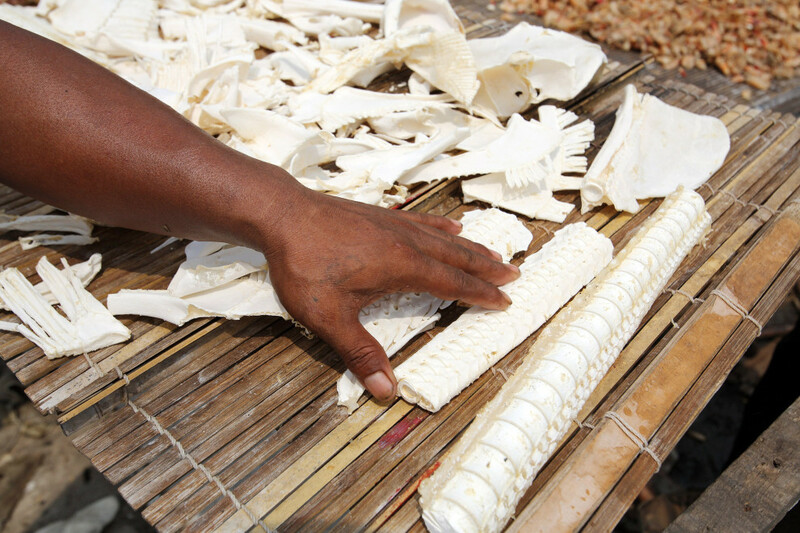 The impact of the demand on shark products in still far-reaching and is a threat to shark populations around the world. We must keep the dialogue going about this issue and continue to find ways to help people understand the impacts of excessive shark finning. Here is no difference between eating shark fins, and chicken. It is absurd to think it is okay to eat chicken, cow, etc. In addition, on the environmental perspective, industrial farms such as hoggery caused a lot of environmental problems. Gordon Ramsey is just a hypocrite. You offer interesting points. I think the main concerns people have are the way the finning is done i.e the removal of fins when the sharks are alive and the dumping of them back into the sea to die. Animals that are bred for mass consumption e.g. cows, chickens etc. are not killed like this. Also, many species of sharks are threatened in the wild and are on the verge of extinction. This is not the case with the animals you mention. I agree it’s important to know where your food comes from. There are no humaneness in the slaughterhouse. chicks are debeaked when they are really young, cows are slaughtered draining out of the blood when they have conscious. Maybe people need to think about that protecting certain species is not just for the human perspective. It is same as the environmental conservation.